I can’t stop smiling . . . what a week! 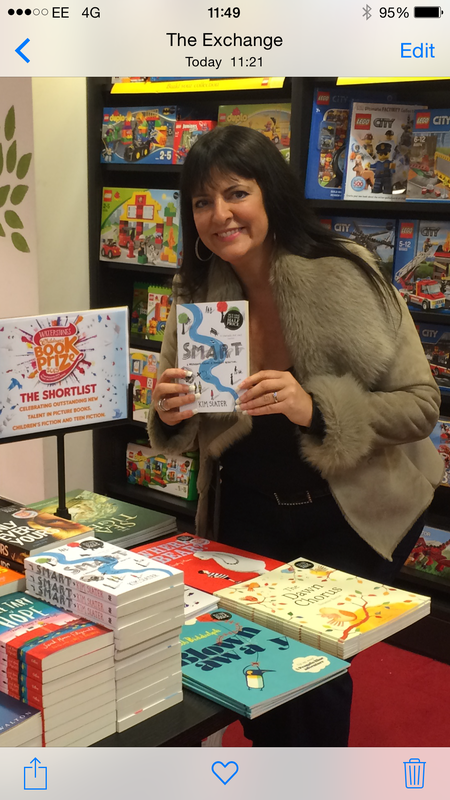 On Tuesday, 10th February, my debut novel Smart was longlisted for the CARNEGIE MEDAL 2015. Back in October, I was overwhelmed to learn that Smart was one of 91 books nominated for this, the oldest and most prestigious award in the country. To hear it had made the 20 book longlist was just staggering. As you can imagine, I was already on cloud nine at this development, yet there was still more amazing news to come . 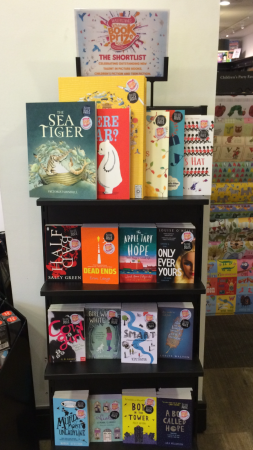 . .
On Thursday, 12th February, the WATERSTONES CHILDREN’S BOOK PRIZE 2015 shortlist was announced and Smart was one of the six shortlisted titles in the Teen Fiction section. Now I am positively DANCING on cloud nine! Book awards are so important to authors, particularly debut authors like myself who are trying hard to build a following of readers. There are tens of thousands of wonderful children’s books published every year and being nominated for a respected award can shine a very valuable spotlight on your novel. It is a wonderful feeling as an author, to know that expert librarians, booksellers and school children have enjoyed reading your book enough to have voted it on to the awards listings. Above anything else, we authors want people to read and enjoy our work and book awards validate what we do. Awards such as the Carnegie Medal and the Waterstones Children’s Book Prize can also have an astonishing effect on sales. Likewise, each regional award gets up to seventy schools and libraries involved in the awards process, purchasing and voting on titles. It all amounts to excellent publicity that money really can’t buy. And best of all, brings lots more readers who will hopefully enjoy, and be keen to read your next offering. Let’s not forget that foreign publishing deals are also important in terms of international readership and can also be lucrative streams of income to authors – so far, Smart is to be published in Germany and Turkey as well as the UK and Commonwealth countries such as Canada – and prestigious award nominations can lift your book straight into the attention span of foreign publishers. It was a great moment today, while my fiancé Mac and I were out shopping in our wonderful home city of Nottingham, to pop into Waterstones and see the book prize display there, with Smart included. Lovely Helen, who manages the children’s department, grabbed a Sharpie and we had a little impromptu signing session on the shop floor which was just the icing on the cake. I am excited that I’ll shortly be organising an event at Waterstones Nottingham with Dan, the events manager. 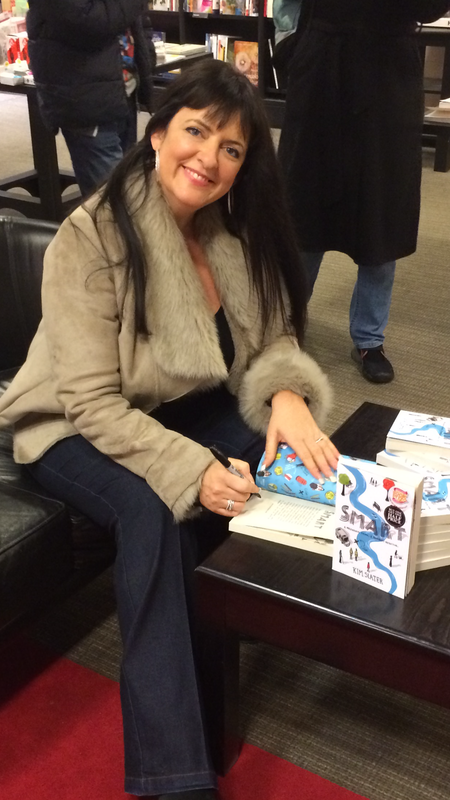 My diary is full of wonderful prize announcements and events to come and I couldn’t be happier! Please note I had five literary agent representation offers, NOT five pubisher deals, as the article states!